This introductory textbook on Artificial Intelligence (AI) is aimed at junior/senior undergraduate and graduate level students. The book will weave a unifying theme among the core concepts that underlie the discipline of AI. While the text makes use of Prolog as its primary programming language, class testers have successfully substituted a Lisp-like pseudocode. 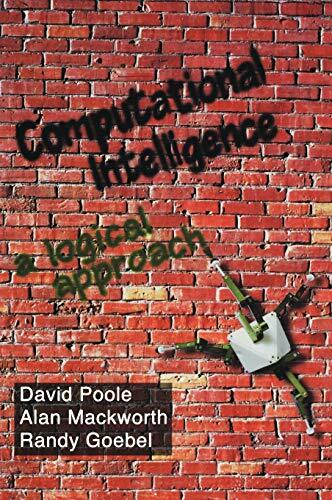 The book encourages the student to expore, implement and experiment with a series of progressively richer logic-based representations that can capture the essential features of more and more demanding tasks and environments. The unifying theme will feature an intelligent agent acting in its own environment. This will serve to place the core concepts of AI in a coherent and cohesive framework, making it easier to teach and learn from. This approach will clarify and integrate representation and reasoning fundamentals and lead the students from simple to complex ideas with clear motivation. The authors have developed AI representation schemes and describe their use for interesting and popular applications, such as natural language vision, robotics, game playing, and expert systems. The manuscript has been class tested in a number of different courses in Canada, Japan, and Europe. Virtually every university and college has an interdisciplinary course on artificial intelligence. The enrollment in such courses is rising, as many interdisciplinary programs, such as cognitive science, psychology, linguistics, engineering, medicine, business and philosophy, recommend the course. 1.1: What is Computational Intelligence?